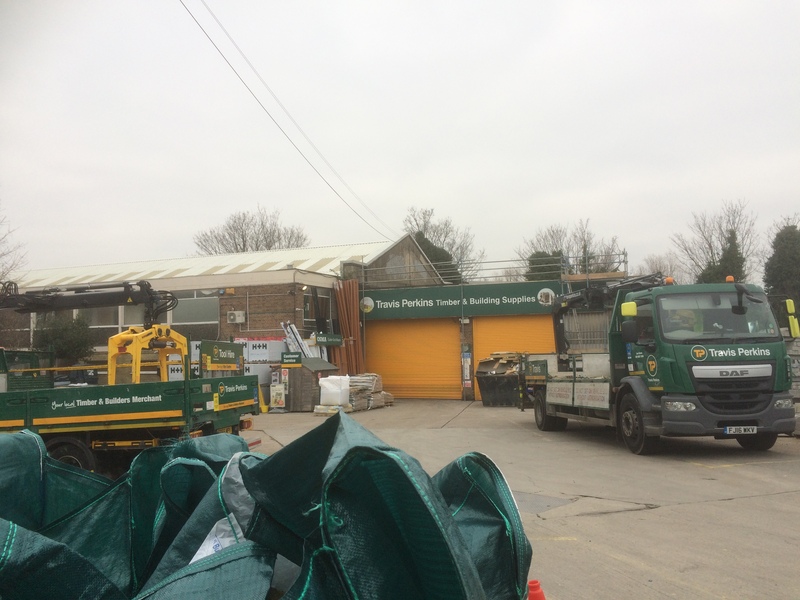 At the Burnt Ash Road end of Holme Lacey Road, set back from the road, is a London Stock brick building which has been largely covered by the signage of its current owners – Travis Perkins. While the building itself has been much extended and altered, at its core is a 1870s building that started as Lee Public Halls – briefly home to variety, light entertainment and numerous Victorian Societies and later, as the title suggests, put to a variety of other uses. The ‘proprietor’ and no doubt builder of the Lee Public Halls was John Pound – builder of much of Burnt Ash, Grove Park and bits of Blackheath along with a quartet of the area’s pubs. There were two linked brick buildings one holding up to 1000 the other 400 which were ‘suitable for concerts and public meetings’, they were probably built around 1876. The original site included a frontage onto Burnt Ash Hill, now largely occupied by Bellamy’s Citroën dealership. 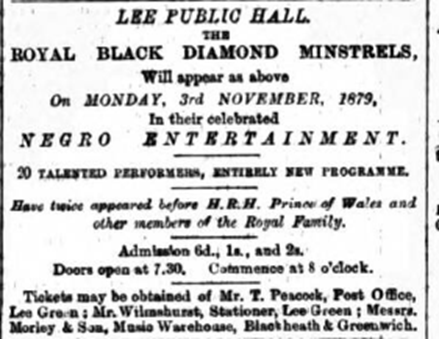 The Victorians liked their Societies and needed venues for them – Blackheath had the Concert Halls, built by William Webster’s firm of builders, and the Arts Club; the northern part of Lee had the Lee Working Men’s Institution on Old Road (which was nothing of the sort and will be covered in a later post), but South Lee had nothing equivalent in the way of halls for Societies and entertainment. Lee Public Halls, along with the Station, the shops and the pubs was probably part of the package that Pound was using to sell the homes he was building. Another early benefit was by the Lee Literary and Musical Society who gave a musical recital in aid of Lee Crèche, an organisation which provided for ‘poor children’ in the absence of their mothers during working hours (8 am to 9 pm). The Hall was filled and the ‘audience good’ (2). During the day the Halls were regularly used as an auction hall for furniture (3). There was an attempt to set up a school there in 1879, although this doesn’t appear to have come to fruition (4). Political meetings were held there from early in its life, the first recorded one being a large one concerning flooding in the Quaggy and Ravensbourne catchments in May 1878 – an early incarnation of the Quaggy Waterways Action Group, perhaps (5). It noted that 2000 homes had been flooded in the area in April 1878 and asked the Metropolitan Board of Works to do something about it. Penny Readings were regular fayre; they seemed to follow the standard, well established form that had been in place for 20 years consisting of readings and other performances, usually by local people. While when they were introduced the charge was as the name implied, by the time they reached Lee, the charges were 2/- (10p) for the reserved seats and 6d (2.5p) for unreserved seats (6). The Penny Readings were popular entertainment with, in the early years, 800 often present (7). 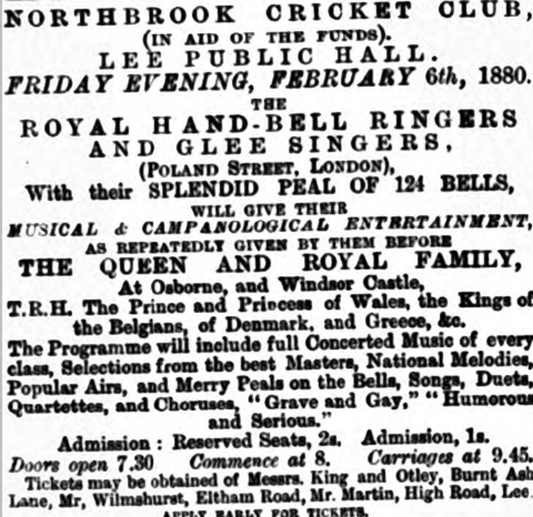 The 1880 version saw apparent favourites of Queen Victoria, the Royal Hand-Bell Ringers and Glee Singers perform. The tickets were only slightly more expensive than the Penny Readings (9). The local Societies regularly used the Halls as a venue – a regular was South Lee and Burnt Ash Dahlia Society which held annual competitions there (12). As noted above, benefit concerts and amateur dramatics were a staple fayre at the Halls – an early one in May 1878 was a fundraiser for the building of St Mildred’s – there was a poor turnout due to the ‘inclement weather’ (13). By the autumn of the following year there were fortnightly concerts and entertainments raising funds to build the church (14) and pay for the organ – there was a concert with piano, several violins and vocalists in November 1879 (15). Indirectly, the funding of benefit concerts for St Mildred’s was probably one of the things that contributed to the Halls demise as a venue. The building of churches and other halls locally will have reduced the revenue stream and it is noticeable from the early 1880s that local press coverage of events there diminished considerably. By mid-1885 the building had been put to a new use – an advertisement in the Kentish Mercury in July announced that ‘The Public Hall Sanitary Steam Laundry’ was now in operation. A smaller advert in the same edition ‘Ladies desiring the van to call may send post card to the Manageress’ and could also come and have a look at the new machinery (16). These were days before washing machines and, in middle class Lee, it would not be expected that the women (and certainly not the men….) of the households would be undertaking domestic drudgery of this type. 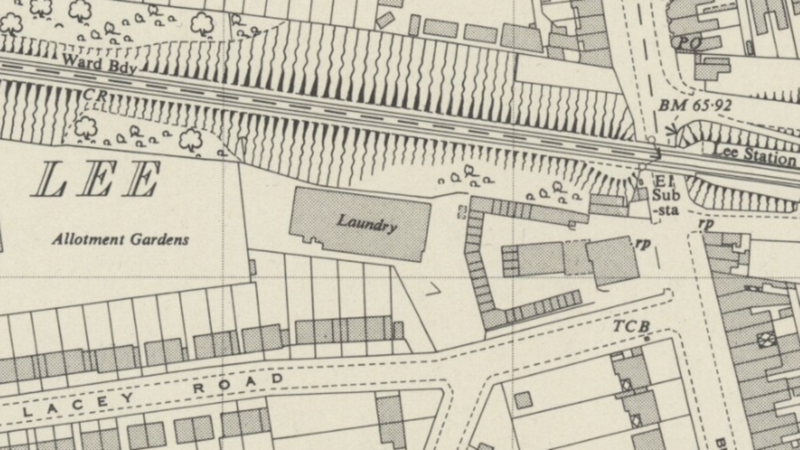 As we saw in the first of the posts on Ardmere Road, taking in laundry for wealthier neighbours was commonplace. A step up from this were laundries – a little later local suffragette Clara Lambert came from a family that had set up a laundry and worked in it herself for many years. Experienced folder wanted (tall preferred) (20). There were several similar adverts over the next few months, so perhaps surprisingly, the laundry remained and the frontage onto Burnt Ash remained undeveloped (22). By 1905, it appears that a small portion of the frontage was let to decorators – Edmund James Tagg, but the Public Halls Steam Laundry, then under the control of W P Cowan remained as having an address with a frontage onto Burnt Ash Hill. By 1941 Scudamore’s were using part of the site of the laundry, whether this marked a slight scaling back of operations isn’t clear. By 1953 the ‘Public Halls’ had been dropped from the name – it was now known as ‘Supreme Laundry.’ The last mention of the laundry was in 1962, when Lee Public Halls name had been restored. 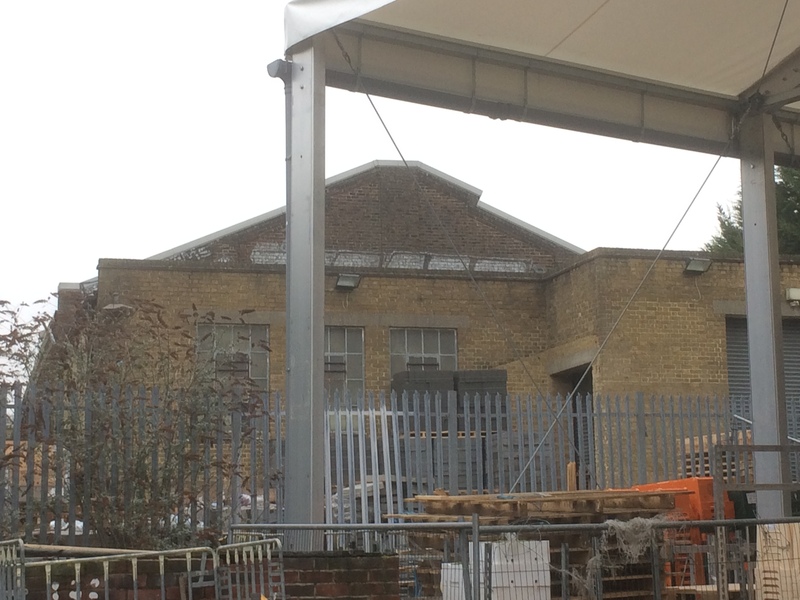 In 1963, the Halls were home to South London Engineering and Sheet Metal – they seem to have diversified into electrical equipment and air conditioning and were still there in the late 1980s when the last local Kelly’s Directories seem to have been published – replaced over time by Yellow Pages, Thompsons and the Internet. As for Scudamores, they remained on the site until they went bankrupt in 1966; for a few years another building contractor – M E Lee seem to have used part of the site but they had gone by the mid-1970s. 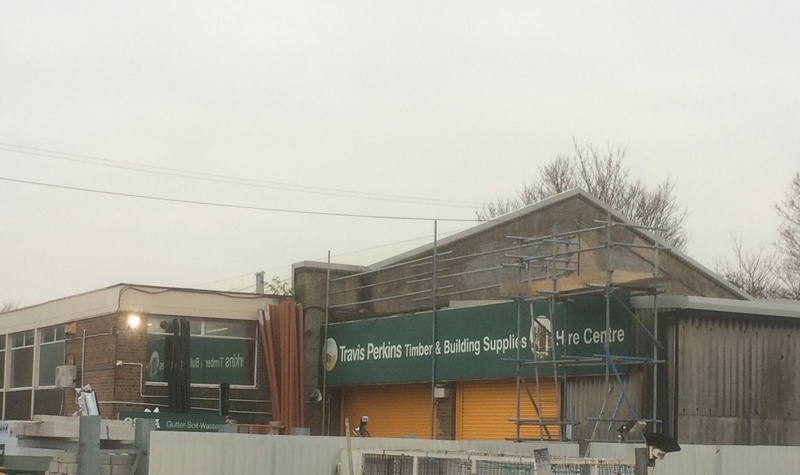 The current occupants are Travis Perkins and while the overall impression is of a builders supply yard, bits of the original building can still be glimpsed and it is still just about possible to imagine the carriages drawing up at 9:45 for the wealthy suburban citizens of Lee having seen the Royal Handbell Ringers and Glee Singers in February 1880 (24). The non-hyperlinked references to Directories are from the Blackheath, Greenwich and Lee Kelly’s Directories (pre-World War 2), the later ones are from the Kelly’s London Directories. Both were accessed via the always helpful, and under resourced, Lewisham Archives. This entry was posted in Lewisham History and tagged Holme Lacey Road, John Pound, Lee Public Halls, Lee Public Halls Steam Laundry, Northbrook Cricket Club on October 4, 2018 by Paul B.